Bottom line: Ricoh's new Theta Z1 is the company's highest-quality 360-degree camera to date but it comes at a price - $999, to be exact. The Insta360 ONE X, by comparison, is just $399 and Ricoh's own Theta V can be found for under $350. Will it sell at the same cost as a flagship smartphone? 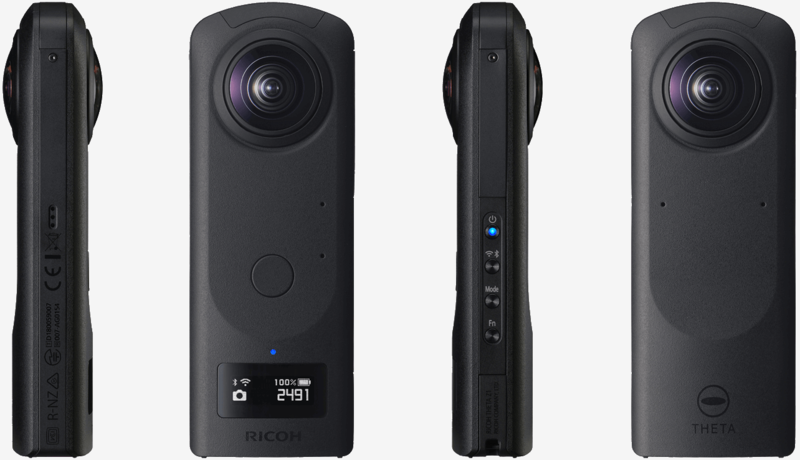 Ricoh recently announced its latest 360-degree camera, the Theta Z1. Now the highest-end model in the Theta lineup, the new shooter incorporates dual 1.0-inch back-illuminated CMOS image sensors to generate 360-degree images that are roughly equivalent to 23-megapixel stills (6,720 × 3,360 pixels). The Theta Z1 features 14 elements in 10 groups and can capture at f/2.1, f/3.5 and f/5.6 apertures, affording a bit of flexibility when shooting. Ricoh’s latest can also nab 4K video at 30 frames per second, leaning on a 3-axis rotational stabilization system to help reduce shaking that plagued early video capture devices. Ricoh has also added a small 0.93-inch OLED display that showcases various statistics such as remaining battery life, the active shooting mode, current aperture, ISO sensitivity and more. A new function button works in conjunction with the display to cycle between what is shown on screen. It can also be used to adjust other camera settings, we’re told. The Theta Z1 will ship with a copy of Ricoh Theta Stitcher, an application that helps generate spherical images in Lightroom from RAW images. Ricoh’s Theta Z1 arrives next month priced at $999 and is available to pre-order over on B&H Photo as of writing.